We have these hobo purses that everyone loves they have amazing colors, pocket on the outside for your cell phone, a purse inside with a crossbody strap so you have 2 purses in 1. They hang at just the right place on your shoulder and your side that it almost feels a part of you. We can’t keep these things in stock, we order them and literally within a week we are out and ordering again. We always have a wait list to call people when they arrive. Well, just the other day we got our shipment in of hobo bags and there were these two ladies, a Mom and daughter who were shopping in the store. They were looking at the couple we had still on the rack, and I mentioned that we just got the shipment in and we had not even been able to open the box yet. Well before I knew we were all digging into the box and dragging all the bags out trying them on like kids on dress up day. We had so much fun and they couldn’t decide on colors or which bag to choose. 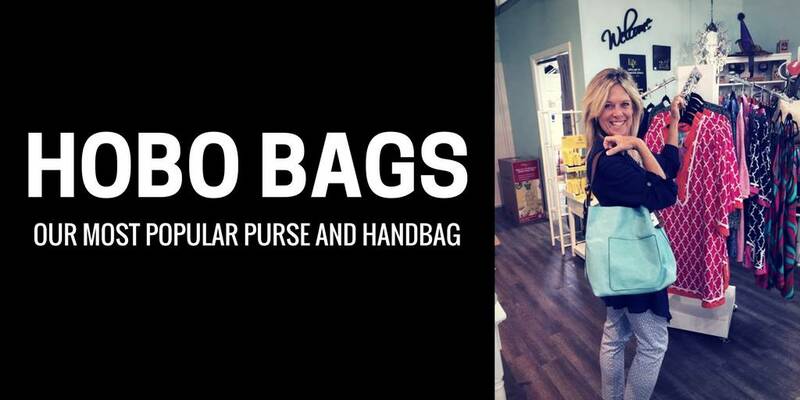 So they both bought 2 bags each. Another day in the life of retail!! I had to just smile!